From Houston’s lovely Rice Village. 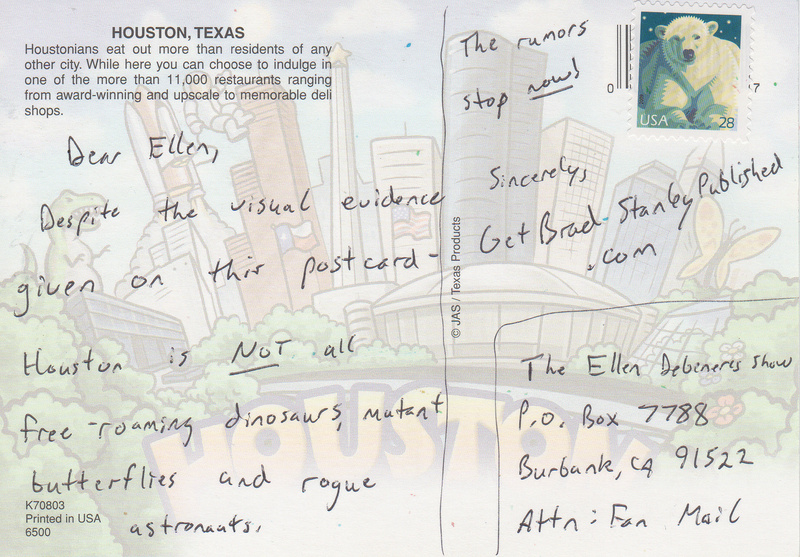 Despite the visual evidence on this postcard – Houston is NOT all free-roaming dinosaurs, mutant butterflies and rogue astronauts. Shhhh. Don’t let them know I’m a trickster. Dammit. Well, I guess I can cross that off my list of awesome places to visit. If anything giant butterflies and such would make Houston more cool. 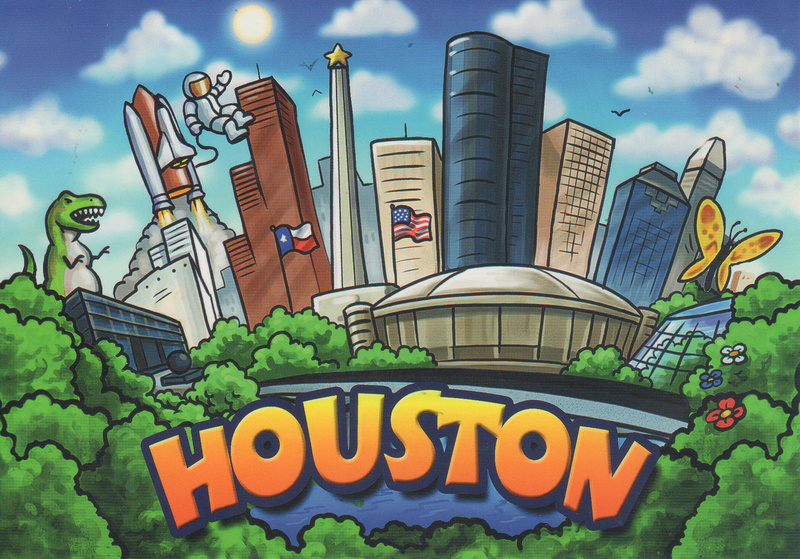 So you’re saying Godzilla and Mothra won’t be duking it out in Houston this year? Color me disappointed. If only there was a crayon color called ‘disappointed.’ That would be fantastic. Haha, thanks for clearing that up. I cancelled my vacation to Houston right after reading this.